Sleep is the one thing all parents wish they’d get more of. The minute you bring your little bundle of joy home, the luxurious eight hours of sleep you once enjoyed feels like a world away. In fact, getting a decent amount of sleep feels like it’s as rare as finding gold dust once baby comes along. Getting a decent night’s sleep has been a problem that parents have experienced for decades. However, there’s one advantage to being a parent in the 21st century and that’s technology! Thanks to the wonders of smartphones and tablets, there’s excellent apps parents can use to help with all kinds of baby issues. One type of app which is proving especially popular is sleep tracking. So how do these sleep tracking apps work and what benefits can they provide? What Are Sleep Tracking Apps? 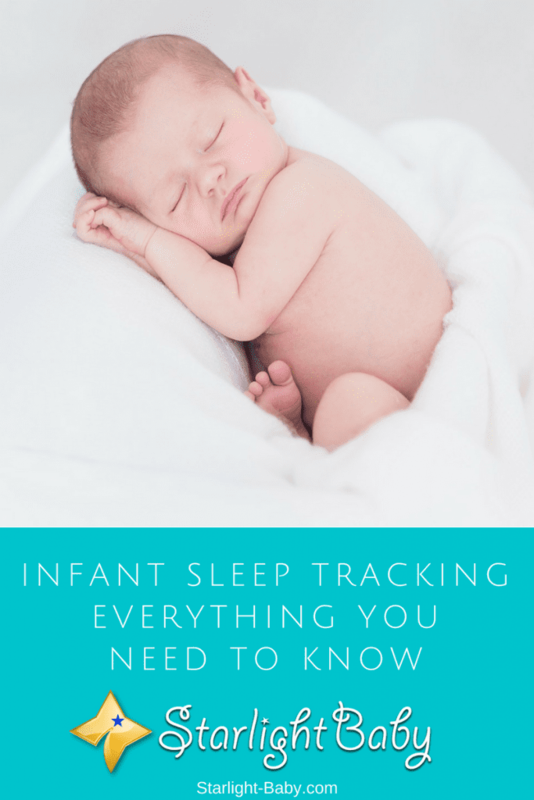 Sleep tracking apps are designed to help you measure how much sleep your little one is getting, along with how often they sleep. This allows you to establish any patterns and issues which may need addressing. When you’re half asleep and dealing with baby wailing in the middle of the night, it’s difficult to remember what time it was or why they woke in the first place by the time you wake up. So, being able to easily track this information on your phone can be a great help. There are literally hundreds of different apps out there. Some are even free to use, though they may not come with as many features as the paid ones. By detecting how often baby wakes up, when and why they wake up, it can really help you to establish a better routine. If for example, they are waking up hungry shortly after you’ve put them to bed, it could be that you need to start introducing pre-bed feeds. Or, if they are waking up frequently throughout the night, it could be a sign they are sleeping too much during the day. Once you know what is causing the frequent wake-ups, you can then make necessary changes to reduce sleep disruption. This in turn ensures you and baby are getting enough sleep. When baby is getting enough sleep, you’ll also notice a huge change in behavior during the day. They won’t be as tired, so they’ll be less likely to make a fuss, which as you know makes a huge difference to the day! Sleep tracking apps allow you to not only detect potential issues, but address them straight away. This helps you to stop potentially bad habits before they become a problem. As you gain a better understanding of your little one’s sleeping pattern, you’ll also feel a lot more reassured and less likely to worry during the night, helping to regulate your own sleep pattern. The cost is obviously one of the main things to consider. Should you pay for one or are the free apps just as good? The answer is it depends on what you’re looking for. If all you need is a simple, basic sleep app which allows you to schedule naps, along with useful advice on infant sleep, a free app will fit you just fine. However, if you’re looking for an app which offers numerous extra features such as tools to help get baby to sleep, in-depth sleep analysis and baby monitoring, a paid app is going to be much more beneficial. The cost varies, but even the best sleep tracking apps cost less than $5 so you won’t have to spend a fortune to benefit from these additional features. Another useful thing to consider is who will be accessing the app. Do you want to be able to sync it with your partner’s phone so they also have access to the information? Not all apps allow you to do this, so you’ll need to shop around if this is a feature you need. You’re also going to need to consider the device and platform you’d prefer to use the app on. Some apps are designed specifically for certain platforms such as Android or iOS. There’s also parenting smart watches you can invest in, rather than phone apps. So, it’s important to look for apps which fit your specific technical requirements. Finally, it’s really helpful to read reviews from actual parents. Some sites which list the “top infant sleep tracking apps” are a little biased. So, always pay attention to customer reviews. “Put baby down for a nap at 1:45pm until 2:20pm. Went to sleep quickly, woke up grumpy”. If the app doesn’t allow you to keep notes, you can always create an old fashioned written sleep log. After you have a few days’ worth of sleep notes, you’ll start to see whether there’s a pattern. You’ll easily see from your own notes whether anything needs to be changed. For example, does there seem to be a time where your baby naps for longer and wakes up happier? You can use the sleep log to experiment with different nap and bedtimes to see which one works best. Overall, infant sleep tracking is a fantastic idea and there are so many great apps out there which can help. By making changes to baby’s routine as early as possible, it really helps you to stamp out any potential bad habits before they begin. Could These Desserts Really Help Your Baby to Sleep? I did not know there are infant sleep tracking apps, I might need to research more on this as my 1 year old baby still wakes up very frequently at night. Sometimes it can be every hour, but lately perhaps slightly longer, which is 2 or 3 hours. Perhaps getting an infant sleep tracking app will help me to get more sleep, and let my baby have better sleep too. The things I discover on this platform on daily basis is breathtaking and so unreal but it’s actually existing, only that I haven’t been opportune to know about it. Infant sleeping tracking application? How could I have thought about that? Well, this is absolutely cool to my very understanding, especially to any parent that has other schedule which needs attention. Being able to track your young one’s sleep would definitely be helpful to the parent to have plan mapped out for other routines. This is so wonderful, I’m really impressed with this Intel. Baby sleeping tracking applications, seriously it’s my first time of hearing about this and it’s so cool because of the perks it comes with. Babies can be very unpredictable when it comes to their sleeping patten, even when you have done all the necessary things supposed to do, they still sometimes take a detour from their normal behavior. But with such application, it’s going to be very useful to parents in monitoring their sleeping pattern.